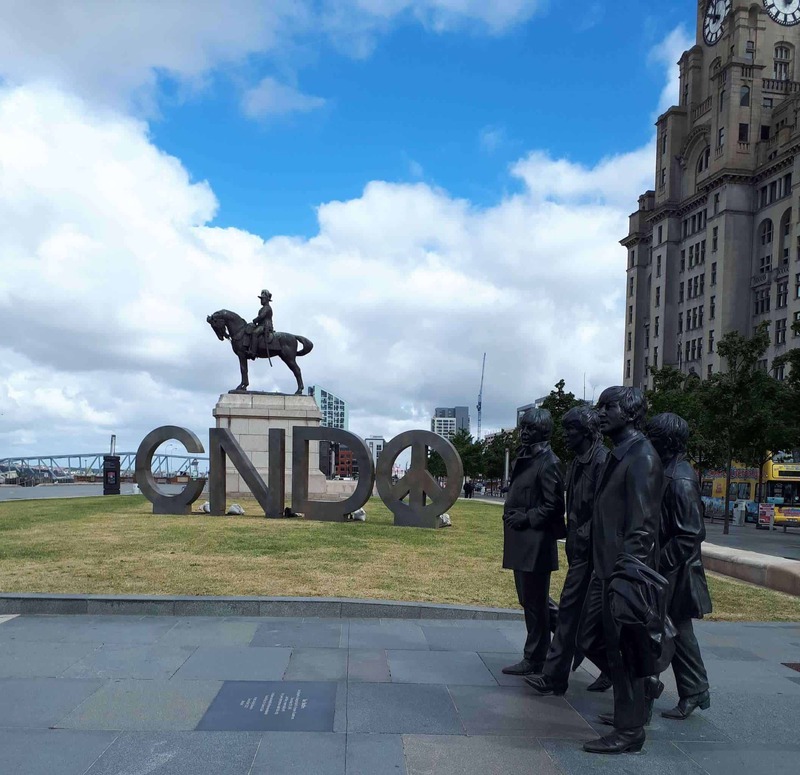 The CND symbol installation made it to the fantastic city of Liverpool, where it spent the day next to the Beatles statue. 60 years of CND was commemorated with the famous John Lennon lyrics, ‘Give Peace a Chance’ and a birthday cake! The installation was seen by hundreds of people and CND supporters made sure to discuss our campaign with passers-by. 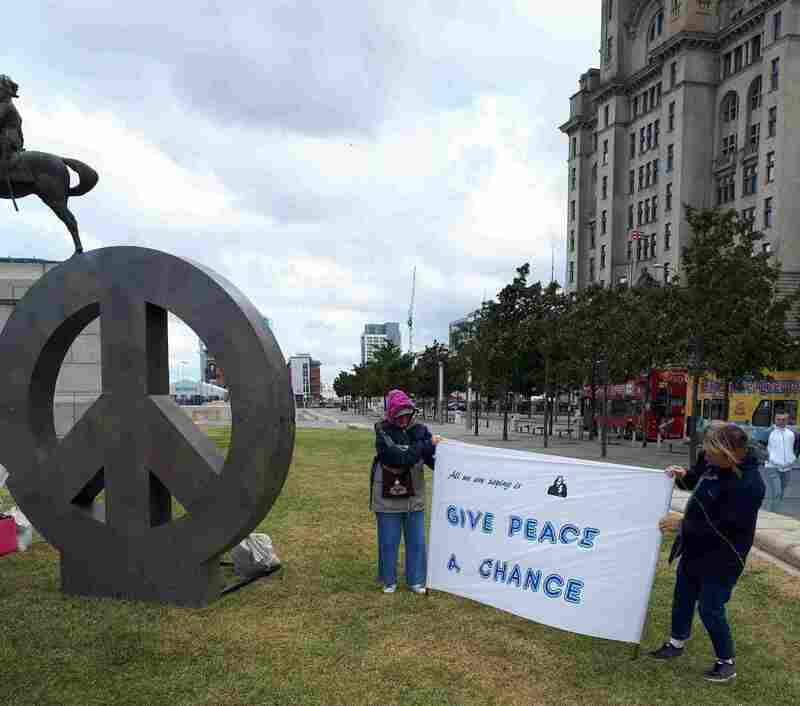 The day was arranged by the brilliant Merseyside CND. If you would like to get in touch with them, you can contact 0151 229 5282 or email mcnd@care4free.net.